Our Mission is to EMPOWER kids with Pfeiffer Syndrome. We FIGHT to improve quality of life for patients and their families. 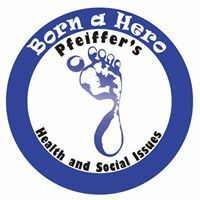 We STRIVE to educate the world so people RECOGNIZE the HERO that lives in each Pfeiffer’s child. Your donation will go towards changing the lives of Pfeiffer advocates, their families, and changing the way Pfeiffer’s is perceived in the world. We are here not only for answers to Pfeiffer Syndrome; We are here for innovation and to fight against social issues. We are a 100% volunteer-run Charity. We sincerely appreciate your contribution.